Children don’t need a lot. 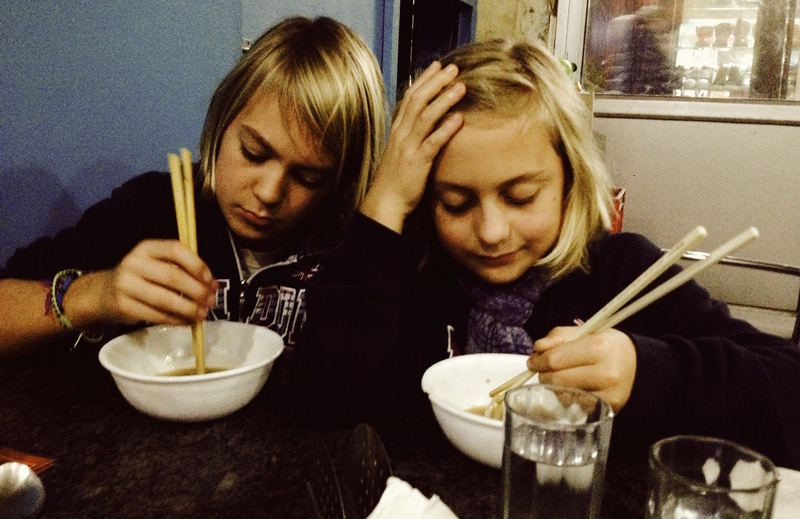 A hot noodle soup in a tiny Tibetan restaurant in India makes them more than happy. Back in Switzerland, it is much more difficult. There are so many more things. There is a school friend who has got his own iPhone; there is another friend who has his own computer in his room or there is even another one who has got already his own television. It is difficult to teach children that one can be as happy as the others without these things. In a lifetime, it takes many hours of discussions and re-discussions. Probably, being a good example as an adult would be more effective but even more difficult. Can I be happy with fewer things?